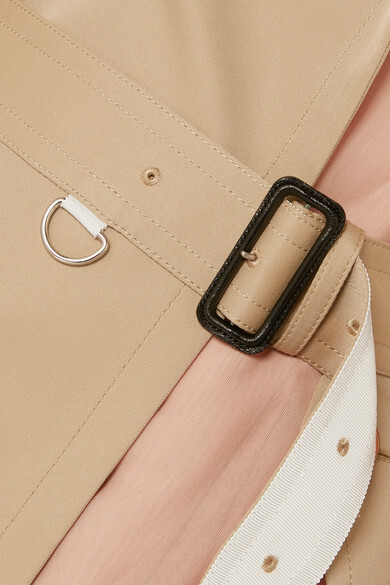 The color-block construction of this trench coat really highlights Sacai's hybridization techniques - it's made from beige gabardine with vibrant red poplin accents, and a blush swathe of georgette draped through one side. Slip it on over a tonal dress to temper the patchworked fabrics and hues. 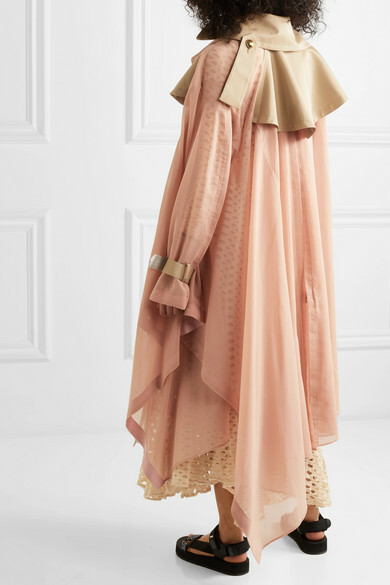 Shown here with: By Malene Birger Dress, Loewe Shoulder bag, Prada Sandals.